With the practicality of today’s crossovers, why not choose one that can make a statement with the 2019 BMW X4 xDrive30i for sale in El Cajon, CA. This fashion-forward crossover combines BMW’s legendary performance credentials with a unique look and a beautiful cabin. If you’re looking to get behind the wheel of something stunning, come visit us at BMW of El Cajon and test drive a 2019 BMW X4 xDrive30i near La Jolla, CA. 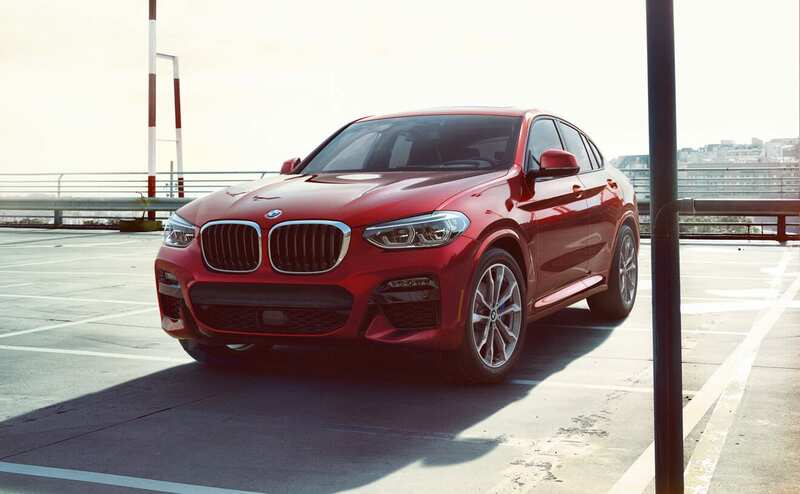 We have a large 2019 BMW X4 xDrive30i inventory near La Jolla and our knowledgeable salespeople can answer any questions you have as you pick out the perfect one. Our dealership is located in El Cajon, CA and we have served style seekers from the surrounding areas near La Jolla, San Diego, Kearny Mesa, and Mission Valley, CA. We look forward to serving you today! The 2019 BMW X4 xDrive30i in El Cajon, CA immediately grabs your attention with its striking sloping roofline, brilliant LED daytime running lights and taillights, and sporty alloy wheels. The interior is a great place to spend time thanks to the luxurious materials like the available Vernasca or Merino leather. The standard sport seats hold you comfortably and securely while available front and rear heated seats keep everyone toasty warm. The front seats are also offered with ventilation for unparalleled comfort in hot weather. The center of the dash features a 10.25-inch iDrive touchscreen that is controlled by the intuitive iDrive rotary controller or available Gesture Control. The system offers tons of features including Apple CarPlay for simple smartphone integration. 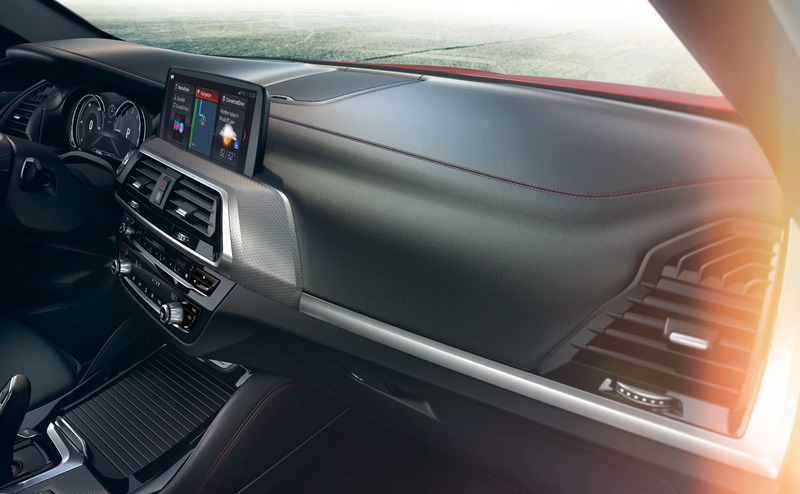 The 2019 BMW X4 xDrive30i also offers an available Head-up display that shows information like your speed or navigation instructions on the windscreen to help you keep your eyes on the road. You can even equip your X4 with a wireless charging pad for your compatible smartphone. Matching the stylish looks is an engine that mixes excellent performance with stellar efficiency. 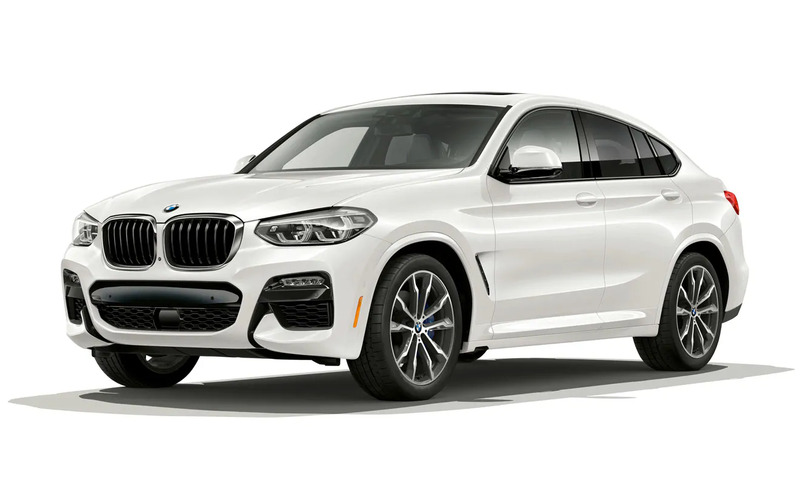 The X4 xDrive30i is powered by BMW’s TwinPower Turbo 2.0-liter turbocharged four-cylinder engine churning out an exhilarating 248 horsepower and 258 lb-ft of torque. The engine is connected to an eight-speed sport automatic transmission that optimizes response and acceleration. Underpinning the X4 xDrive30i is BMW’s xDrive intelligent all-wheel-drive system that swiftly shuffles power to the wheels with grip to get your through tricky road conditions. Topping it all off is a variable sport steering system that adjusts the steering effort and response to make it easier to perform maneuvers in tight spots while providing more confidence when cruising.